From CKS Shilin Residence Park, we hopped into a cab and told the driver to drop us at National Taiwan Science Education Center. There was a modest-sized crowd, but mostly throngs of families and kids that surrounded every corner of the center. We went straight to the counter and purchased two admission tickets- NT$ 100 per head (2008 rate) for the "Permanent Exhibition" only. 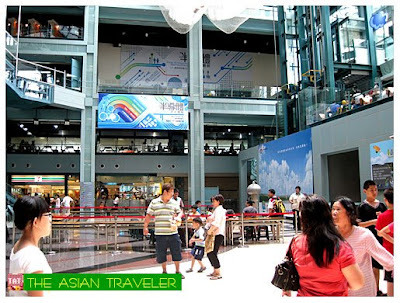 They also offer a value combo tickets (NT$ 299) that gets you admission to the Permanent Exhibits, 3D Iwerks Turbo Ride Theater, 4D Virtual Reality Simulation Theater and Bouncy Town, which is an indoor inflatable play area. We started to explore the science center after we had a quick lunch at the food court that occupies the entire second floor. Some of the tenants are Starbucks, Burger King and a few Chinese food stalls. 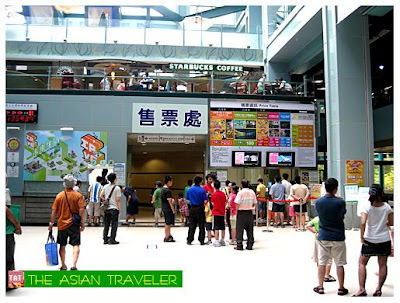 There's 7-Eleven convenience store (near the gift shop) located on the ground level. 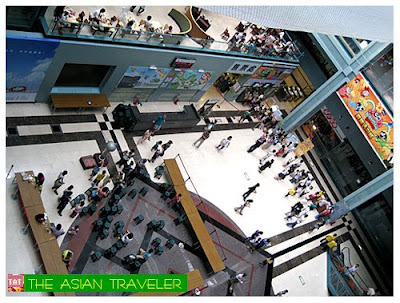 The Permanent Exhibits are located on the 3rd floor up to the 6th floor only. While the 7th and 8th floors houses temporary "Special Exhibitions". 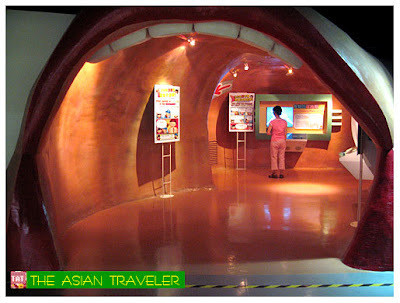 Most of these hands-on science exhibits are highly interactive, user friendly and fun science booth. We felt like we were kids able to benefit a new remarkable experience. As we kept our childlike wonder, we took pleasure of exploring science by going through practical operations and exciting interactions. The center is huge with a variety of interesting features such as the Science Circus, The Amazing World of Physics / Chemistry / Mathematics and Earth Science. There's also the Mysteries of Life and Human Body, Exploration of the Earth, and Human Environment. 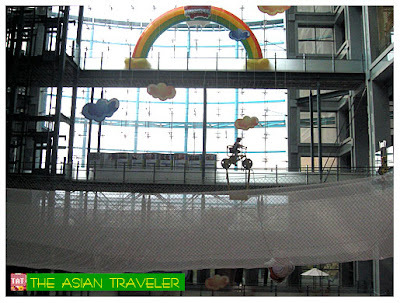 One thing that really caught our attention is the SkyCycle or the Counterbalanced High-Wire Bike located on the 5th floor, where visitors can take an invigorating and thrilling bicycle ride on a cable wire hanging about 75 feet high above the ground. Some of the kids who got off were delighted with their ride, but some looked terrified and disappointed for not able to make it. Hb wanted to try it but he wasn't feeling well that day. One round ride per ticket cost NT$ 80 per person (2008 rate). Parental agreement is required for persons under 13 years old. No person should weigh more than 250 lbs / 113 kgs. 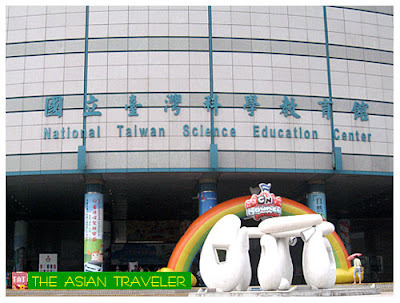 Overall, National Taiwan Science Education Center (NTSEC) is a fun place for young and old sharing the joy of discovery and hands-on exploration. It is located at No. 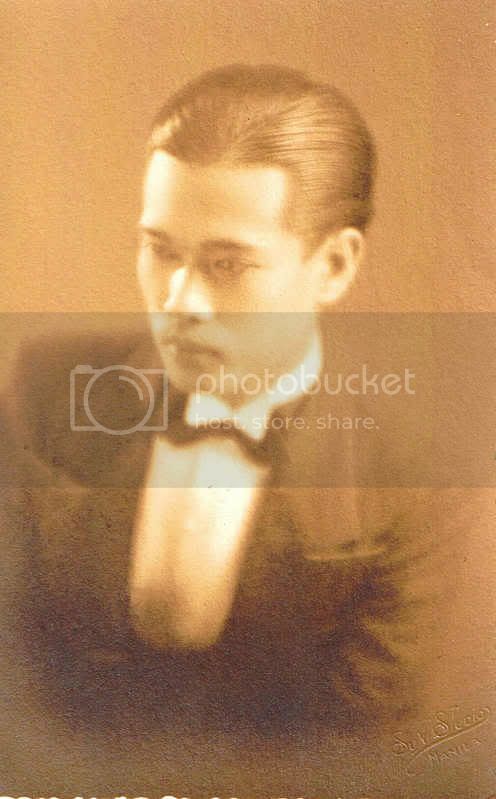 189 Shishang Road, Shihlin, Taipei, Taiwan. 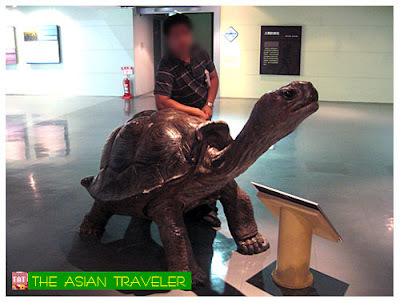 You travel Asia as much as you can and I envy you for that! The center kind of remind me of Manila's Museo Pambata, although the latter is not as big. Good thing they allow photography inside (like in Museo). 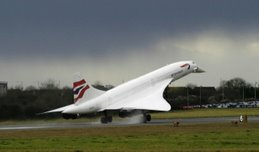 Thanks for sharing your wonderful trips, keep up the good work! wow! i like those permanent exhibit. some looks futuristic. but the best thing here is the skycycle highwire. i like to do that! The bike is amazing but I'm terrified at the thought of riding it! 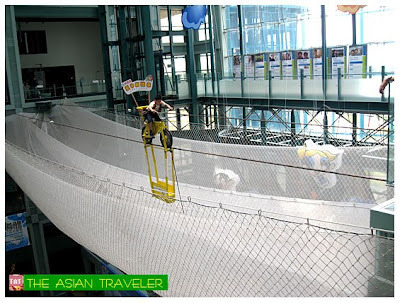 Parang ang unti ng mga pwedeng gawin, although super gusto ko ung skycycle nilang un, i wonder kung anong feeling pagkabumagsak ka don sa net nila,medyo manipis kasi..hehehe.. San mas madaming exhibit ung diyan sa kanila o ung sa SM mall of Asia? Sad to say, our SM Science Discovery Center is way too small compared to NTSEC. 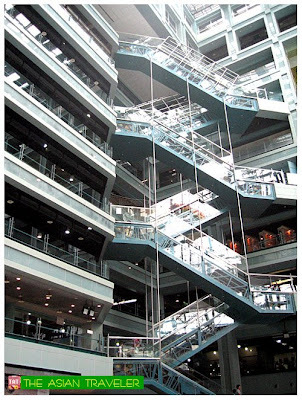 Ours is only two storeys while NTSEC has 8 storeys high. The latter has a lot to offer and plenty of hands-on exhibits. 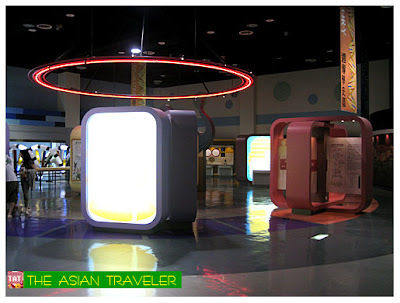 Check out my post about SM Science Discovery Center. Meanwhile Blogtrotter is still in Tunisia, now at the Blue Village! Hope you enjoy and have a great week!